This was a good read and I finished it in one afternoon sitting. It is an often used cliche but the book was better than the Kubrick movie ‘Eyes Wide Shut’. The sense of danger and atmosphere seemed much more intense, but that could be the literary medium, combined with my imagination, rather than a fault with the movie. 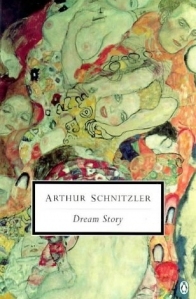 Based on this novel it will definitely be worth reading more Schnitzler. I liked the fact the action didn’t really stop – it was a though a camera was following the doctor on his physical and emotional journey. There’s not much more to say about this novel: it did one thing and it did so very well. Schnitzler is a hedgehog, I believe. As Isaiah Berlin said: every classification throws light on something. Soundtrack: The Bats – The Black and the Blue. 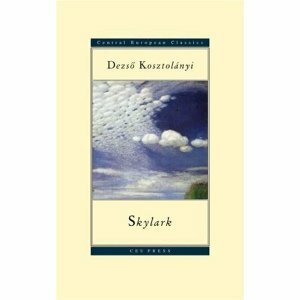 Just when you think you are used to the way fiction works or reveals itself, a novel like ‘Skylark’ comes along which feels fresh and new and it seems as though you have never read anything like it. This is a great book and I can’t believe I had not been aware of Kosztolányi before discovering Skylark in the charity shop in Watney Market for a pound. How many more incredible European novels are languishing untranslated or perhaps translated but never really recognised or promoted? The novel has such a strange atmosphere it was at times comic but mostly full of melancholy. I found myself filled with unease because it seemed as though something terrible was about to happen. As to whether it did – I won’t give that away. The highlight is the drinking party, attended by the men of the town, and the subsequent description of Akos’s drunkenness. But, there are many other exceptional moments. If you have an affinity with European literature then you should read this book. Also included in this review is ‘The Communist Manifesto’ by Marx and Engels as I re-read it at the same time. This is a very interesting novel – it leaps about a bit but keeps you interested. It can be seen as a detailed critique of the Soviet system. Serge was a life-long revolutionary but the novels near the end of his life were critical of the Bolshevik regime at a time when the writers and intellectuals were adamantly pro-soviet. As a result he was ostracised by the literary establishment in the West as well as in Russia. Serge also wrote his novels in French so this made him even more of an outsider. When Serge was imprisoned, Andre Gide managed to intercede to secure his release. Therefore Serge became the only Soviet writer to have been imprisoned for an extended spell and then released and allowed to leave the country. Gide went to on to publish a critique of the Soviet Union in 1937 and was viewed as a traitor, as well as Serge, to the cause of Socialism which was being fought for in Spain. This ‘betrayal of Spain’ followed Gide until his death. The analysis of life in the Soviet Union in the Case of Comrade Tulayev was very detailed. I always thought that Koestler’s ‘Darkness at Noon’ was the best novel of its type but after reading The Case of Comrade Tulayev it seems quite narrow. Serge covers so much in his 360 pages. As for the Communist Manifesto, I enjoyed reading it again. Some of it is mostly of historical significance now – the later chapters. But, the analysis of history in relation to class struggle still resonates. 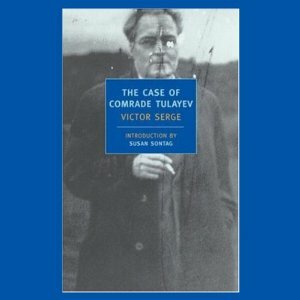 I recommend reading The Case of Comrade Tulayev at the same time as the Manifesto. The sincere intention followed by the insincere result. Soundtrack: The Eels – ‘End Times’ LP. A very very pleasant book. There are a few writers where you are left with the impression that he or she would be an amusing person to have met and had a drink and a yarn with. Desnos – along with Svevo and Cendrars falls into this category, in my opinion. 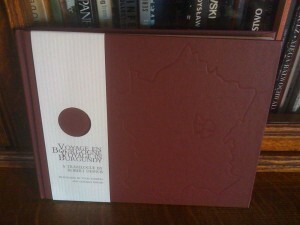 This book is beautifully made in every respect and you can buy your own limited edition from Air and Nothingness Press. I really enjoyed reading about the ‘Burgundian’ journey with all the asides and references which are picked up by the excellent footnotes. The text flows effortlessly and I wasn’t aware of any nuances of translation. Eminently enjoyable. Soundtrack: Jacques Brel – La Chanson de Jacky.